A unique policy for your drivers that allows you to avoid extra premiums on a standard policy. At Nelson Jordan Insurance we offer an insurance facility designed specifically for young drivers. If you are a Leaner Driver and need insurance, we offer a flexible and comprehensive cover for learners to drive a family member’s or a friend’s car. For New Drivers it can be daunting for both you and your parents. Don’t worry, it needn’t be too difficult, as we have young drivers covered, with a range of policies for every stage of driving. Named Young Driver Insurance gives you the freedom to drive your parents’ car with your own fully comprehensive policy. We offer Student Driver insurance, this is short term cover for students with a full licence on a parent’s or friend’s car, without risking their No Claims Discount. If you are new to the road, we’ll help young drivers find an affordable policy for their car insurance with our Cars for Young Drivers insurance. Learner Driver Insurance helps you to get those all-important extra hours of driving practice in a parent’s or friend’s car. Learner insurance is short term cover that sits alongside the main policy, providing fully comprehensive cover when you’re behind the wheel – while you are practicing, and during your driving test, if needed. Adding a learner to a policy can be expensive, and some insurers won’t offer cover. Our flexible insurance for 30, 60, or 90 days means you can buy cover in affordable chunks without affecting the main insurance. Get an instant quote – follow the link: Get a quote in seconds by simply submitting your age and postcode. Make your payment: Take a few minutes to complete your application, then make your payment. Drive away: You can be covered instantly, so you can start that extra driving practice immediately! Renew on your terms: Once you’ve held your first policy with us, you can renew for periods from as little as 7 days. If you’re looking for temporary policy cover on a car you plan to borrow from a friend or family member, we have short term insurance options for before and after you pass your test – with Learner Driver Insurance and Student Driver Insurance. You can start earning your No Claims Discount, whether you’re driving yours or a parent’s car. 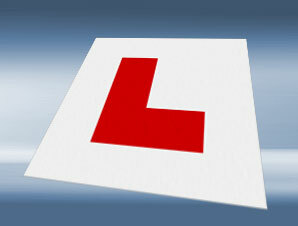 We will insure you as a learner as well as after your test and won’t increase the premium because you pass! Unique Named Young Driver Insurance gives you the freedom to drive your parents’ car with your own fully comprehensive policy – without risking their No Claims Discount! The policy is ideal if you’re not the main driver as it sits alongside your parents’ insurance and provides cover for you when you are behind the wheel. The miles driven on this policy should not exceed 40% of the overall monthly mileage of the car. The clever black box technology helps you to develop safe driving skills, and you can view your journeys instantly on your driving portal. You just need to log each journey on the iPhone or Android app so we know you’re driving. This Insurance covers you before and after your driving test and the price won’t go up when you pass! A great alternative to being added as a named driver to the main insurance – where the price often shoots up when a young driver passes. Cover is available on most cars worth at least £2,000 and up to insurance group 26. Get a quick quote: Get a quote in seconds by entering just a few details and select how many miles you would like to be covered to drive. Make your payment: Complete your application, then pay – you can choose to pay the full amount, or monthly instalments. Install your black box: Once your black box is installed and you’ve had your Welcome call, you’ll be ready to get driving! Exclusively for Students aged 18-27 who are living away from home, our Student Driver Insurance allows you to get temporary fully comprehensive cover on a parent’s or friend’s car – ideal for when you are home for the holidays! Not yet started university? Don’t worry, we can still help! We’ll just need to see a copy of your offer letter and we’ll get you on the road. If you need to make a claim, it won’t affect your parent’s or friend’s no claims discount (which we’re sure they’ll be pleased about!). Our student car insurance is fully comprehensive; while you’re driving a friend’s or family member’s car (provided the car is up to insurance group 26 and between £2,000 and £25,000 in value). Exclusively for students living away from home who have passed their test (subject to your student email address or a copy of your offer letter to set up the policy). If you have held 90 days Learner Driver Insurance cover, in any combination, you could get up to 10% off your Student Driver Insurance. Browse the wide range of brand new cars, many of which include 12 months’ FREE black box insurance, to find the best one for you. The great news is that the car and insurance package is available from age 17! Enter your age and postcode to see your personalised offers. 12 months’ FREE Insurance is available in the majority of postcodes – where it’s not available, you could be offered discounted insurance or cashback. To secure your new car all you need to pay is a small deposit of around £500 – then it won’t be long until you can take to the road in your new wheels and enjoy your new found independence!